This used 2016 Honda Civic Coupe LX-P for sale in Knoxville, TN includes DESIRABLE FEATURES:Like Keyless Start, Keyless Entry, Bluetooth, and an Aux Audio Input. TECHNOLOGY FEATURES: This used Civic Coupe for sale includes Remote Engine Start, Steering Wheel Audio Controls, Steering Wheel Controls, an Anti Theft System, a Electronic Messaging Assistance, an AM/FM Stereo, and an MP3 Compatible Radio STOCK# 19321A PRICED BELOW MARKET RETAIL VALUE! Rusty Wallace Honda has this 2016 Honda Civic Coupe LX-P ready for sale today.Don't forget Rusty Wallace Honda WILL BUY OR TRADE FOR YOUR USED CAR, USED TRUCK and/or USED SUV! DEALER CONTACT INFO: Call Rusty Wallace Honda today at (865) 512-7132 TO SCHEDULE YOUR TEST DRIVE of this 2016 Honda Civic Coupe LX-P! Rusty Wallace Honda serves Knoxville, Clinton, Oak Ridge, Alcoa, Maryville and Morristown TN used car buyers. You can also visit us at, 109 Callahan Dr Knoxville TN, 37912 to check it out in person! MECHANICAL FEATURES: This Honda Civic Coupe comes Factory equipped with an impressive 4 cylinder engine, an automatic transmission. Other installed mechanical features include Push Button Start, a Continuously Variable Transmission, Power Windows, Traction Control, Power Mirrors, Power Locks, Front Wheel Drive, Disc Brakes, Cruise Control, a Tire Pressure Monitoring System, a Gasoline Engine, Intermittent Wipers, a Spare Tire (Small Size), a Trip Computer, and Power Steering INTERIOR OPTIONS: a Power Tilt/Sliding Sunroof, Automatic Climate Control, Cloth Seats, an Adjustable Steering Wheel, Bucket Seats, Air Conditioning, a Pass-Through Rear Seat, a Driver Illuminated Vanity Mirror, a Passenger Illuminated Visor Mirror, a Rear Window Defroster, a Bench Seat, a Tilt Steering Wheel, and Vanity Mirrors SAFETY OPTIONS: Electronic Stability Control, Brake Assist, Daytime Running Lights, a Rear Head Air Bag, a Drivers Air Bag, Anti-Lock Brakes, a Front Side Air Bags, a Front Head Air Bag, a Passenger Air Bag Sensor, and a Passenger Air Bag Used Honda Dealer in Knoxville TN: At Rusty Wallace Honda, we have a strong and committed TEAM with years of experience. We take great pride in serving East Tennessee and we want your sales and service experience to be rewarding and beneficial. Please Feel free to browse our inventory online, request more information about vehicles, set up a test drive or inquire about used car financing! 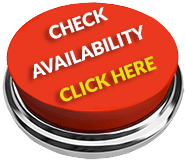 If you don't see what you are looking for, click on vehicle finder service, fill out the form, and we will let you know when vehicles arrive that match your search! Or if you would rather discuss your options with our friendly sales staff, click on contact us for interactive driving directions and other contact information. Certified. Champagne Frost 2017 Honda Accord EX FWD CVT 2.4L I4 DOHC i-VTEC 16VSpecial Rates this month! See dealer for details. Odometer is 3119 miles below market average! 27/36 City/Highway MPGHonda Certified Pre-Owned Details: * Powertrain Limited Warranty: 84 Month/100,000 Mile (whichever comes first) from original in-service date * 182 Point Inspection * Vehicle History * Transferable Warranty * Roadside Assistance with Honda Care purchase * Warranty Deductible: $0 * Limited Warranty: 12 Month/12,000 Mile (whichever comes first) after new car warranty expires or from certified purchase dateAwards: * ALG Residual Value Awards * 2017 IIHS Top Safety Pick+ (When equipped with Honda Sensing and specific headlights) * 2017 KBB.com Brand Image Awards * 2017 KBB.com 10 Most Awarded Brands2016 Kelley Blue Book Brand Image Awards are based on the Brand Watch(tm) study from Kelley Blue Book Market Intelligence. Award calculated among non-luxury shoppers. For more information, visit www.kbb.com. Kelley Blue Book is a registered trademark of Kelley Blue Book Co., Inc.It's all about YOU!!! 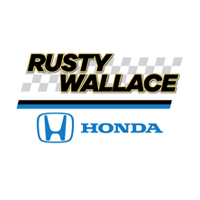 Rusty Wallace Honda is proudly serving... Knoxville, Powell, Karns, Clinton, Cleveland, Chattanooga, Norris, Lake City, La Follette, Oak Ridge, Farragut, Lenoir City, Loudon, Louisville, Sweetwater, Alcoa, Maryville, Seymour, Sevierville, Jefferson City, Corryton, Rutledge, Newport, Morristown, Maynardville and Asheville. We also service the following states... Tennessee, Georgia, Alabama, North Carolina and Kentucky. This used 2015 Acura RDX w/Tech for sale in Knoxville, TN includes DESIRABLE FEATURES:Like Keyless Start, Heated Seats, Memory Seats, Bluetooth, Keyless Entry, and an Aux Audio Input. TECHNOLOGY FEATURES: This used RDX for sale includes Satellite Radio, Multi-zone Climate Control, a Premium Sound System, Steering Wheel Audio Controls, a Electronic Messaging Assistance, an Anti Theft System, Steering Wheel Controls, Memory Mirrors, an MP3 Compatible Radio, a Garage Door Opener, Digital Media Storage, an AM/FM Stereo, and a Single-Disc CD Player STOCK# 19335A PRICED BELOW MARKET RETAIL VALUE! Rusty Wallace Honda has this 2015 Acura RDX w/Tech ready for sale today.Don't forget Rusty Wallace Honda WILL BUY OR TRADE FOR YOUR USED CAR, USED TRUCK and/or USED SUV! DEALER CONTACT INFO: Call Rusty Wallace Honda today at (865) 512-7132 TO SCHEDULE YOUR TEST DRIVE of this 2015 Acura RDX w/Tech! Rusty Wallace Honda serves Knoxville, Clinton, Oak Ridge, Alcoa, Maryville and Morristown TN used car buyers. You can also visit us at, 109 Callahan Dr Knoxville TN, 37912 to check it out in person! MECHANICAL FEATURES: This Acura RDX comes Factory equipped with an impressive 6 cylinder engine, an automatic transmission. Other installed mechanical features include All Wheel Drive, Heated Mirrors, Power Windows, Push Button Start, Power Mirrors, Traction Control, Power Locks, an Auto Transmission with Manual Mode, Cruise Control, a Gasoline Engine, a Power Passenger Seat, a Tire Pressure Monitoring System, Disc Brakes, Intermittent Wipers, Variable Speed Intermittent Wipers, Power Steering, a Trip Computer, and a Spare Tire (Small Size) INTERIOR OPTIONS: a Heated Passenger Seat, Automatic Climate Control, a Power Tilt/Sliding Sunroof, Leather Seat Trim, a Power Drivers Seat, a Leather Wrapped Steering Wheel, a Pass-Through Rear Seat, Bucket Seats, a Driver Illuminated Vanity Mirror, an Adjustable Steering Wheel, Air Conditioning, a Passenger Illuminated Visor Mirror, Vanity Mirrors, a Bench Seat, a Tilt Steering Wheel, and a Rear Window Defroster EXTERIOR OPTIONS: Aluminum Wheels, Tinted Glass, Privacy Glass, an Auto Headlamp, and a Spoiler / Ground Effects SAFETY OPTIONS: Side Mirror Turn Signals, Electronic Stability Control, Brake Assist, Daytime Running Lights, Integrated Turn Signal Mirrors, a Rear Head Air Bag, Anti-Lock Brakes, a Drivers Air Bag, a Front Side Air Bags, an Auto Dimming R/V Mirror, Child Proof Locks, a Passenger Air Bag Sensor, a Front Head Air Bag, and a Passenger Air Bag Used Honda Dealer in Knoxville TN: At Rusty Wallace Honda, we have a strong and committed TEAM with years of experience. We take great pride in serving East Tennessee and we want your sales and service experience to be rewarding and beneficial. Please Feel free to browse our inventory online, request more information about vehicles, set up a test drive or inquire about used car financing! If you don't see what you are looking for, click on vehicle finder service, fill out the form, and we will let you know when vehicles arrive that match your search! Or if you would rather discuss your options with our friendly sales staff, click on contact us for interactive driving directions and other contact information. This used 2015 Nissan 370Z Roadster Touring for sale in Knoxville, TN includes DESIRABLE FEATURES:Like Keyless Start, Air Conditioned Seats, a Convertible Soft Top, a Navigation System, Heated Seats, Keyless Entry, Bluetooth, and an Aux Audio Input. TECHNOLOGY FEATURES: This used 370Z for sale includes Steering Wheel Audio Controls, a Premium Sound System, Satellite Radio, a CD Changer, Steering Wheel Controls, an Anti Theft System, a Electronic Messaging Assistance, a Garage Door Opener, an MP3 Compatible Radio, an AM/FM Stereo, and a Single-Disc CD Player STOCK# 19006A PRICED BELOW MARKET RETAIL VALUE! Rusty Wallace Honda has this 2015 Nissan 370Z Roadster Touring ready for sale today.Don't forget Rusty Wallace Honda WILL BUY OR TRADE FOR YOUR USED CAR, USED TRUCK and/or USED SUV! DEALER CONTACT INFO: Call Rusty Wallace Honda today at (865) 512-7132 TO SCHEDULE YOUR TEST DRIVE of this 2015 Nissan 370Z Roadster Touring! Rusty Wallace Honda serves Knoxville, Clinton, Oak Ridge, Alcoa, Maryville and Morristown TN used car buyers. You can also visit us at, 109 Callahan Dr Knoxville TN, 37912 to check it out in person! MECHANICAL FEATURES: This Nissan 370Z comes Factory equipped with an impressive 6 cylinder engine, an automatic transmission. Other installed mechanical features include Heated Mirrors, Push Button Start, Power Windows, Power Mirrors, Rear Wheel Drive, Power Locks, Traction Control, Disc Brakes, an Auto Transmission with Manual Mode, a Tire Pressure Monitoring System, a Gasoline Engine, a Power Passenger Seat, Cruise Control, Intermittent Wipers, Variable Speed Intermittent Wipers, a Trip Computer, and Power Steering INTERIOR OPTIONS: Leather Seat Trim, Automatic Climate Control, a Heated Passenger Seat, a Power Drivers Seat, a Leather Wrapped Steering Wheel, Cloth Seats, Air Conditioning, a Driver Illuminated Vanity Mirror, an Adjustable Steering Wheel, Bucket Seats, a Passenger Illuminated Visor Mirror, a Tilt Steering Wheel, Vanity Mirrors, and a Rear Window Defroster SAFETY OPTIONS: Electronic Stability Control, HID Headlamps, Daytime Running Lights, Brake Assist, a Rollover Protection System, a Drivers Air Bag, Anti-Lock Brakes, a Passenger Air Bag Sensor, an Auto Dimming R/V Mirror, a Front Side Air Bags, a Front Head Air Bag, and a Passenger Air Bag Used Honda Dealer in Knoxville TN: At Rusty Wallace Honda, we have a strong and committed TEAM with years of experience. We take great pride in serving East Tennessee and we want your sales and service experience to be rewarding and beneficial. Please Feel free to browse our inventory online, request more information about vehicles, set up a test drive or inquire about used car financing! If you don't see what you are looking for, click on vehicle finder service, fill out the form, and we will let you know when vehicles arrive that match your search! Or if you would rather discuss your options with our friendly sales staff, click on contact us for interactive driving directions and other contact information. This used 2014 Chevrolet Silverado 1500 LT for sale in Knoxville, TN includes DESIRABLE FEATURES:Like 4X Drive, an Hands-Free Communication, Bluetooth, Keyless Entry, and an Aux Audio Input. TECHNOLOGY FEATURES: This used Silverado 1500 for sale includes Satellite Radio, Steering Wheel Audio Controls, a Electronic Messaging Assistance, Steering Wheel Controls, an MP3 Compatible Radio, a High-Definition Radio, an AM/FM Stereo, and a Single-Disc CD Player STOCK# D19461B PRICED BELOW MARKET RETAIL VALUE! Rusty Wallace Honda has this 2014 Chevrolet Silverado 1500 LT ready for sale today.Don't forget Rusty Wallace Honda WILL BUY OR TRADE FOR YOUR USED CAR, USED TRUCK and/or USED SUV! DEALER CONTACT INFO: Call Rusty Wallace Honda today at (865) 512-7132 TO SCHEDULE YOUR TEST DRIVE of this 2014 Chevrolet Silverado 1500 LT! Rusty Wallace Honda serves Knoxville, Clinton, Oak Ridge, Alcoa, Maryville and Morristown TN used car buyers. You can also visit us at, 109 Callahan Dr Knoxville TN, 37912 to check it out in person! MECHANICAL FEATURES: This Chevrolet Silverado 1500 comes Factory equipped with an impressive 8 cylinder engine, an automatic transmission. Other installed mechanical features include Heated Mirrors, All Wheel Drive, Power Windows, Traction Control, a Spare Tire (Full Size), Power Mirrors, Power Locks, Front Tow Hooks, Cruise Control, a Tire Pressure Monitoring System, Disc Brakes, Flexible Fuel Capability, and Power Steering INTERIOR OPTIONS: a Leather Wrapped Steering Wheel, a Driver Illuminated Vanity Mirror, an Adjustable Steering Wheel, Air Conditioning, a Pass-Through Rear Seat, a Bench Seat (Split), a Passenger Illuminated Visor Mirror, Vanity Mirrors, a Tilt Steering Wheel, and a Bench Seat EXTERIOR OPTIONS: Aluminum Wheels, Privacy Glass, and Tinted Glass SAFETY OPTIONS: Electronic Stability Control, Daytime Running Lights, a Drivers Air Bag, Anti-Lock Brakes, a Rear Head Air Bag, a Front Head Air Bag, a Passenger Air Bag Sensor, a Front Side Air Bags, and a Passenger Air Bag Used Honda Dealer in Knoxville TN: At Rusty Wallace Honda, we have a strong and committed TEAM with years of experience. We take great pride in serving East Tennessee and we want your sales and service experience to be rewarding and beneficial. Please Feel free to browse our inventory online, request more information about vehicles, set up a test drive or inquire about used car financing! If you don't see what you are looking for, click on vehicle finder service, fill out the form, and we will let you know when vehicles arrive that match your search! Or if you would rather discuss your options with our friendly sales staff, click on contact us for interactive driving directions and other contact information. STOCK# PF32811A PRICED BELOW MARKET RETAIL VALUE! Rusty Wallace Honda has this 2016 Ford Expedition XLT ready for sale today.Don't forget Rusty Wallace Honda WILL BUY OR TRADE FOR YOUR USED CAR, USED TRUCK and/or USED SUV! DEALER CONTACT INFO: Call Rusty Wallace Honda today at (865) 512-7132 TO SCHEDULE YOUR TEST DRIVE of this 2016 Ford Expedition XLT! Rusty Wallace Honda serves Knoxville, Clinton, Oak Ridge, Alcoa, Maryville and Morristown TN used car buyers. You can also visit us at, 109 Callahan Dr Knoxville TN, 37912 to check it out in person! MECHANICAL FEATURES: This Ford Expedition comes Factory equipped with an impressive 6 cylinder ecoboost engine, an automatic transmission. Used Honda Dealer in Knoxville TN: At Rusty Wallace Honda, we have a strong and committed TEAM with years of experience. We take great pride in serving East Tennessee and we want your sales and service experience to be rewarding and beneficial. Please Feel free to browse our inventory online, request more information about vehicles, set up a test drive or inquire about used car financing! If you don't see what you are looking for, click on vehicle finder service, fill out the form, and we will let you know when vehicles arrive that match your search! Or if you would rather discuss your options with our friendly sales staff, click on contact us for interactive driving directions and other contact information.